Recognizing that poverty and hunger are less visible, yet harder to cure in outlying areas, an outreach to rural communities began in 1996. 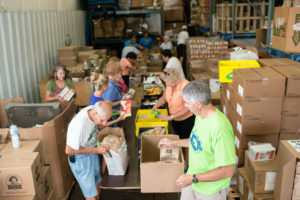 By January 2001, Bethesda Mission Rural Outreach Ministries was in full operation, distributing thousands of pounds of food and household supplies throughout the region out of rented warehouse space in Mechanicsburg, PA. 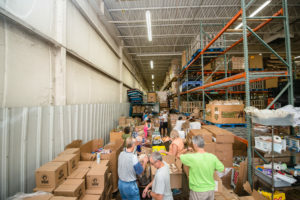 In addition to supporting a number of organizations and food pantries in Harrisburg, Bethesda Mission Outreach used the warehouse space to support other organizations working to feed the hungry in each of the counties neighboring Dauphin County. « Both the Helmsman long-term recovery program and Mobile Mission are started.